Whether you’re looking for a case management solution right now or acquired one many years ago, you’ll want it to support your own business processes. When it does, the benefits to your management team and lawyers alike are mind-blowing. But case management systems out-of-the-box are a vanilla offering; it’s the workflows that supercharge them. 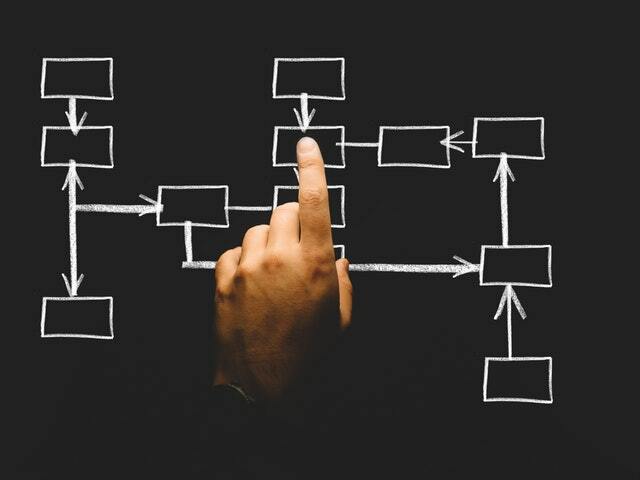 To empower your firm – and each department within it – to work in the way that is most efficient, most customer-focused and most profitable, you’ll need to create workflows. To find out more about our workflows, take a look at the example here. To see some of the ways that integration can save you time and therefore improve the profitability of your law firm, take a look here. Workflows can be developed to reflect exactly what needs to be done within a department concerning a particular activity. An example might be when instructions have been taken and the lawyer wants to produce a compliant client care letter. The process is actioned as part of the workflow and includes a check as to whether the transaction is within the firm’s “professional indemnity insurance” limit or whether it will be necessary to refer the matter to the insurers by way of risk management. The transaction to be covered is selected and the workflow will identify such things as where there are cross selling opportunities. Emails can be automatically generated to send to the appropriate person in the firm detailing what needs to be discussed and automatically including the appropriate information. Budgets can be set including consideration of any third-party charges which might arise, estimates of disbursements, deposit required, time estimate – all within the terms of the firm’s billing policy – and a cost/benefit analysis set out in a protocol. From these few clicks a fully compliant Client care letter will be produced with all the right references in place, with automatic addressing and outlining fees, instructions from the client, charging rates, budgeted fees as discussed, disbursements expected to be incurred, including a copy of the terms & conditions, billing policy, service level notice and outlining next steps to be taken including any ID that’s required. Everything that ensures compliance with the firm’s protocols. From the same few clicks, integrated time of posting of letter goes onto the ledger, an acknowledgement form – so the client doesn’t have to return the entire client care letter – is included and an email is automatically generated to which everything is attached ready to send to the client. From a management perspective, custom built cost forecasting enables cashflow forecasting individually, for each department and for the entire business. All with self-explanatory help screens and instructions for the lawyer at each stage. And when you’re ready for online legal services, not only can these be built into the workflow to save time re-entering information, but this can be automated and even augmented using Artificial Intelligence (AI). Read about some of the advantages of online legal services here. You can find out more about our use of AI and automation here. You might like to see an example – and learn about some of the benefits – of one of our customer service chatbots here. But what if, like most law firms, you don’t have in-house the IT expertise and experience required to turn your case management software into an invaluable business solution, customised to meet your needs? Even if they have access to that kind of resource, they seldom have the ability to envision it from an IT, a legal management and a client perspective. Talk to us at Legal Workflow. We’re a pioneering IT consultancy and creator of innovative products and services for the legal profession. Utilising automation and artificial intelligence, we are expert in developing and customising online legal services and workflows for legal case management systems. We specialise in writing integrations with third party applications, and the creation of client portals and databases. This is how we provide our clients with modern, streamlined and cost-efficient systems, all while delivering a far superior user experience for both clients and staff. Get in touch today to see what we can do for you. Call us on 01243 859605 or email us at enquiries@legalworkflow.com. 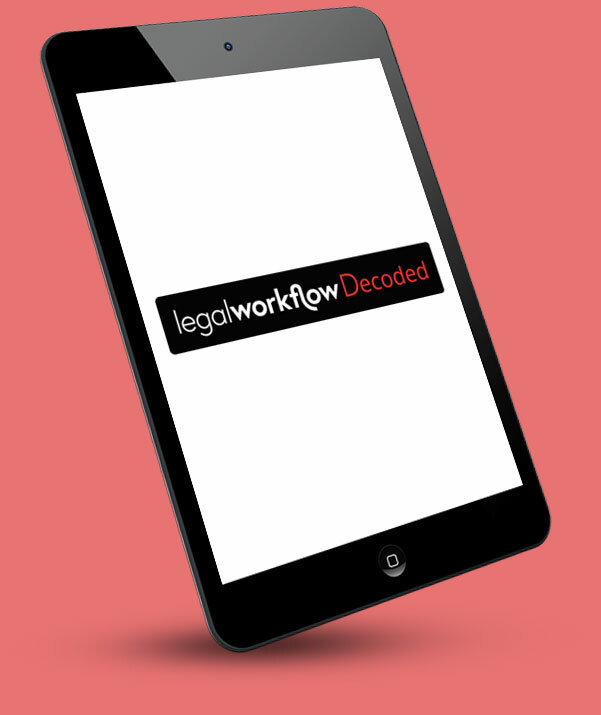 Or sign up to Legal Workflow Decoded, our news, views and updates service delivered direct to your mailbox.